The suicide of German footballer Robert Enke has raised fresh questions about the particular pressures of sport on the psyche. Every case is unique, and Enke had suffered intense personal tragedy with the death of his baby daughter from a congenital heart problem three years ago. His widow Teresa said he had battled depression for years, and that he lived in fear the daughter they had subsequently adopted would be removed from them if his condition became public knowledge. His career was also dominated by the extreme highs and lows that characterise sporting life. A goalkeeper who was sidelined before finding favour again, he said openly that the threat of being usurped by a younger, better player made him falter, not flourish - and that it was faith in his talents that he needed to perform, not the challenge of competition. After a stomach illness ruled him out of recent friendly internationals, a headline referred to his promised appearance in next year's World Cup as the "comeback of the man thought dead". Researchers have sought to unpick the various threads that may tie sport with suicidal tendencies. But the picture is a complex one, with each sport throwing up very different issues. "We also have to keep this tragedy in perspective. There are particular pressures associated with sport but people do commit suicide - it is the most common form of death among young men," says sports psychologist Victor Thompson. "We pay attention to this young man because he's famous, but arguably many sports stars have access to the kind of support - from their team members, their club - that others could only dream of." Former cricket player turned writer David Frith does however believe there is something inherent to his sport which means English cricketers are apparently twice as likely to commit suicide as the average male. "It is the all consuming nature of the sport, the number of hours you spend not necessarily playing but sitting around waiting to play - quite different to football say. You live and breathe it in a very intense, nerve-shattering way, and then very suddenly you're spat out, it's over," he says. "But we're also starting to see problems at the other end of the spectrum, when players are just beginning their career. In India in particular, where there is glamour and fervour akin to the English football premiership, we're seeing youngsters take their lives as they realise they're not going to go all the way." 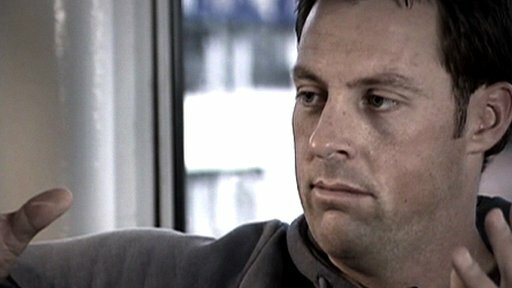 The England career of cricketer Marcus Trescothick was ended by a stress-related illness, although he dates the onset of anxiety attacks back to when he was just ten years old. The most high profile footballer to commit suicide in England was Justin Fashanu - the first professional footballer to admit he was gay. He was found hanging from the rafters of a London garage in 1998, at the age of 37. He was at the time facing a court charge in the US of sexually assaulting a teenage boy, and wrote in a suicide note that while innocent he felt he would be treated unfairly because of his homosexuality. His career had already nosedived by the time he spoke about his sexuality, but to his own mind it was a deep-seated prejudice within the English game which led to his demise. The consensus remains that the sporting arena remains a difficult place to be gay, but regardless of sexuality all athletes live under the constant threat of injury, pressure to perform, and early retirement in which the commentators' box is not always an option. Injuries clearly take their psychological as well as their physical toll, but there is also growing evidence that head injuries may have a role to play in suicidal behaviour. Chronic Traumatic Encephalopathy (CTE), associated with repeated blows to the head, is a risk for boxers and wrestlers - and has also been diagnosed in American football players - including two who had recently committed suicide. Chicken and egg theories also abound - and the question has been raised as to whether sport attracts a very particular type of personality. There are athletes who have attained a high level of success in spite of psychiatric disorders such as manic depression, but also those who have perhaps chosen sport as a way of dealing with a problem like Attention deficit hyperactivity disorder, or ADHD, Antonia Baum, a psychiatrist at the George Washington University Medical Center, has argued. Eating disorders, which are associated with suicide, may also have started as result of involvement in sports which require the leanest body possible. The American Olympic diver Wendy Williams said she became preoccupied with finding a way to commit suicide before finally getting the help she needed. "I had clinical depression and I've probably had it all my life. It's just that, for most of my life, I couldn't admit to having something wrong. "I was an athlete. I was supposed to be able to get over it. Mind over matter."